Labour’s leader in the Lords, Baroness Angela Smith, on peers’ attempts to get the government in a better place on Brexit. With Conservative Party divisions over Brexit once again laid bare, I don’t doubt that some leading Brexit campaigners welcome the opportunity to blame the Lords. As much as I am happy to take the credit, the culprit is not our second chamber but a Prime Minister that has failed to devise a credible Brexit plan. The Trade Bill, examining these very important issues, has been unusually stalled by the government in the House of Commons – with no date yet set to complete the consideration. Presumably because either the cabinet can’t reach agreement or No10 fears defeat at the hands of its own MPs. In the Lords meanwhile, we started debating the EU Withdrawal Bill back in January, and recently began voting on key issues. Amendments already passed, and others likely to follow, will provide an opportunity for the Commons to reconsider certain matters. This reflects our limited constitutional role to scrutinise and suggest revisions, but the power and the final say rightly lies with elected MPs. The Withdrawal Bill is unusual. It is the first piece of legislation about the practicalities of how we Brexit rather than the principle of whether or not we should. Given the excitement around other debates, this may seem a bit dull to some people. Our debates have been quite techy, especially when we get to Henry VIII powers and sifting mechanisms for statutory instruments. Important but not ‘hold the front page’ exciting. At its core, the Bill is about giving effect to the government’s promise that there will be no reduction in the rights enjoyed by UK citizens, in employment, as consumers and for the environment. Customs union arrangements are also a key issue, with the TUC, CBI and other business-supporting organisations championing the need to protect UK industry and jobs. The government, although occasionally equivocating, has set one of its red lines that there can be no such arrangement with the remaining EU member states. At the same time, ministers have spectacularly failed to provide any credible answer on how we avoid a hard border on the island of Ireland without a customs union. Another big issue is the Charter of Fundamental Rights. Again the government has failed to offer a credible explanation why this – and only this – is the sole area of EU law not being brought into UK law via the Bill currently before the Lords. Leading barrister and crossbench peer David Pannick described this as “unprincipled and unjustified”. On other matters, ministers have listened to the debates and engaged more constructively, recognising that changes are needed. We welcome such concessions but the fact remains that there are fundamental flaws in the Bill that would benefit from further consideration by the House of Commons and we will provide that opportunity. 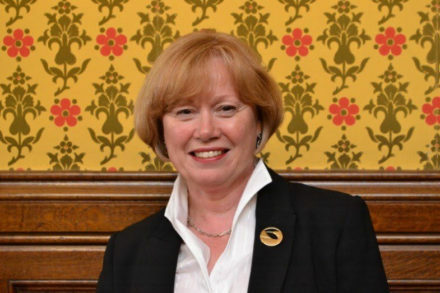 Baroness Angela Smith of Basildon is Labour leader in the House of Lords.